Scottish alternative rock band Teenage Fanclub formed in Bellshill in 1989. 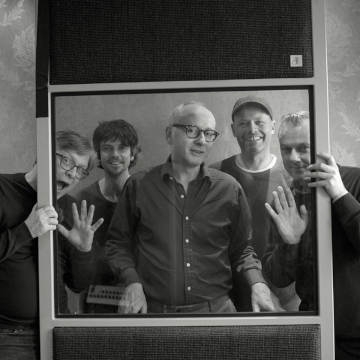 The band was founded by Norman Blake, Raymond McGinley and Gerard Love, all of whom shared lead vocals and songwriting duties until Love's departure in 2018. Over the past three decades, Teenage Fanclub have produced consistently exquisite songs that nod to ’60s sunshine pop and folk-rock as much as they do to classic power pop and the grungier sounds of electric Neil Young. Teenage Fanclub's radiant brand of pop classicism has yielded numerous outstanding albums including Bandwagonesque. Grand Prix and Songs from Northern Britain. It's a body of work that remain utterly timeless, utterly compelling. The band have recently regrouped for standalone single Everything is Falling Apart and a slew of summer festival dates.